Beebe Healthcare is proud to announce that two of its nurses were recognized with Delaware Excellence in Nursing Practice Awards. On Thursday, September 24, the Delaware Organization of Nurse Leaders presented the 2015 Delaware Excellence in Nursing Practice Awards. These awards recognize those in the nursing field who consistently provide, excel, and bring a positive approach to their area of nursing practice. Nominations come via the nursing peers at healthcare facilities across Delaware. The nominations are then reviewed and scored in a peer review process. Julia Bayne, MSN, RN, AGCNS-BC, a Clinical Educator at Beebe Healthcare, was the recipient of the Nurse Educator/Staff Development award. 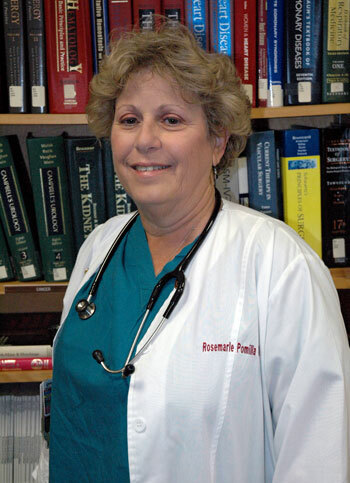 Rosemarie Pomilla, RN, NNP-BC, was the recipient of the Advanced Practice Registered Nurse award. Bayne began her nursing career as a student at the Margaret H. Rollins School of Nursing, graduating as the valedictorian in 2011. During her education, she worked as a Certified Nursing Assistant at Beebe before finishing her nursing degree and becoming a Registered Nurse in Beebe’s Intensive Care Unit. Her hard work and commitment to nursing was noticed and, in 2014, she was asked to join the Clinical Education Department at Beebe. In May, she graduated from the University of Delaware with her Master of Science degree in Nursing/Clinical Nurse Specialist. The day after winning the award, Bayne passed board exams s to become an Adult Gerontology Clinical Nurse Specialist (AGCNS-BC). As a clinical educator, Bayne teaches team members Advanced Cardiac Life Support (ACLS), Basic Life Support (BLS) and Pediatric Advanced Life Support (PALS), as well as coordinating recertification trainings. This year, Bayne took over the RN Residency Program for 2014-2015 and excelled at educating new nurses on diverse topics, including supporting the new graduates as they transition into practice. One of the biggest impacts and changes she has made is supporting the advanced resuscitation education program. Rosemarie Pomilla, RN, NNP-BC, received her degree in nursing from the University of Maryland Nursing School in Baltimore. She earned her neonatal nurse practitioner degree at Georgetown University in Georgetown, Md. She served for 26 years with the Maryland Army National Guard 136th Combat Support Hospital, retiring as Lieutenant Colonel – Army Corps Nurse. Pomilla joined Beebe Healthcare’s Neonatal Nurse Practitioner team in 2005. 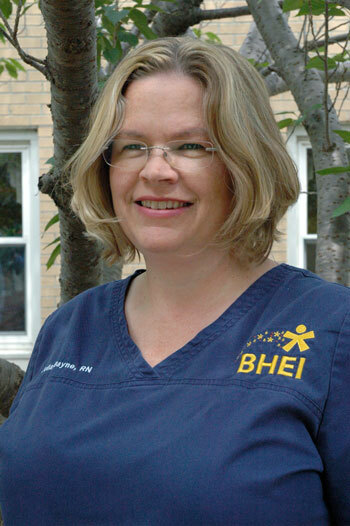 She was responsible for developing the neonatal practitioners’ roles at Beebe. As an Advanced Practice Nurse (APN), Pomilla showcases strong clinical skills, excellent communication and decision-making skills, and excels in her work in Women’s Health. As an educator, Pomilla is constantly working with other team members on pathophysiology, interventions, and patient care. She serves as a Newborn Resuscitation Program (NRP) instructor and for years single-handedly managed NRP education for staff nurses, respiratory therapists, nurse practitioners, and physicians affiliated with this institution. In addition, Pomilla responded to a request from Sussex County emergency services and provided NRP education to 100 paramedics. Pomilla’s efforts have been instrumental in obtaining specialized equipment and supplies which allow safe and effective care delivery to critically ill infants. She has been a key player in changing the paradigm of management of the sick infant at the community hospital level, triaging sick newborns, and making the difficult determination of which infants need observation and transitional care versus which infants need transport, all the while teaching staff how to assess and assist in these situations.